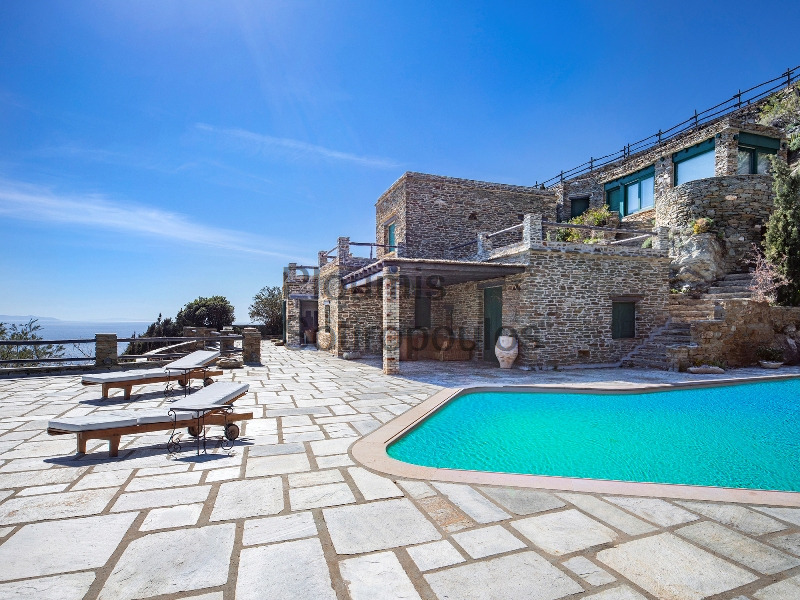 Only a short distance from the sea, this private residential complex measures 334m² and is set on a gentle slope. 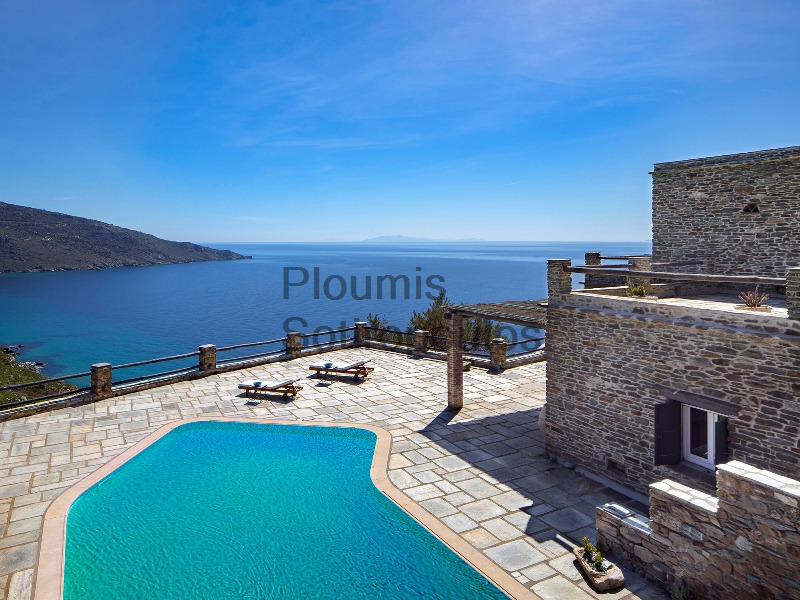 With a garden of 4073m², it enjoys uninterrupted views to the sea and to the island of Yaros. 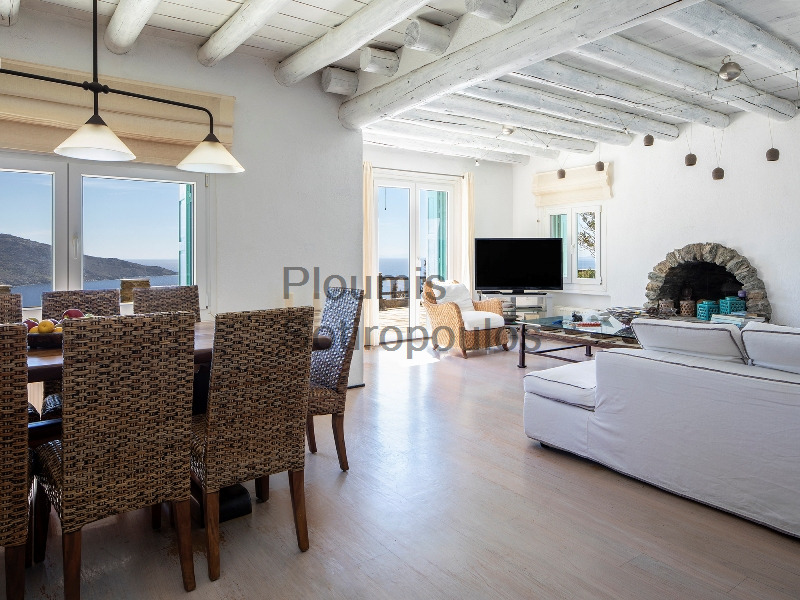 The villa is comprised of two main houses, each of which features a large sitting area with fireplace, dining room and kitchen, and two spacious bedrooms with bathrooms. 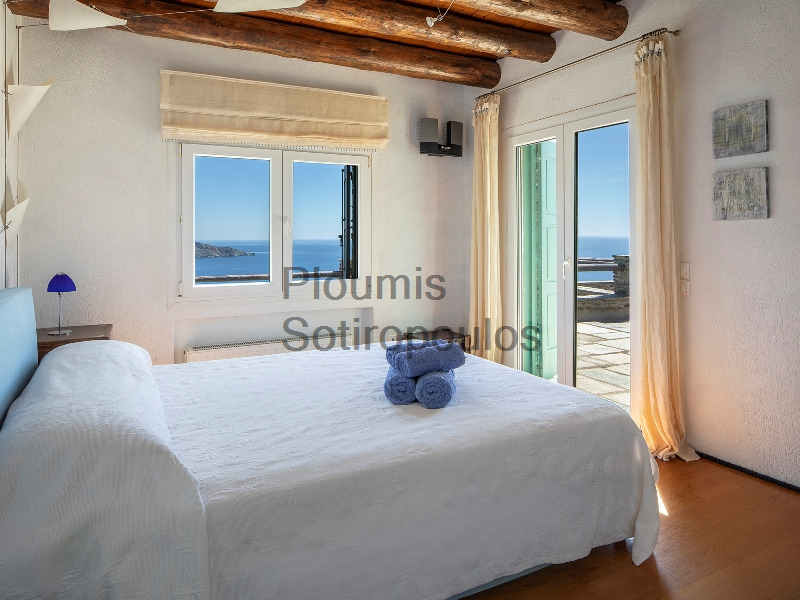 All rooms and windows look out onto the sea. An independent guest bedroom with bathroom, a study/office room set at the top of the property, a staff apartment, and auxiliary storage and utility rooms complete the interiors. 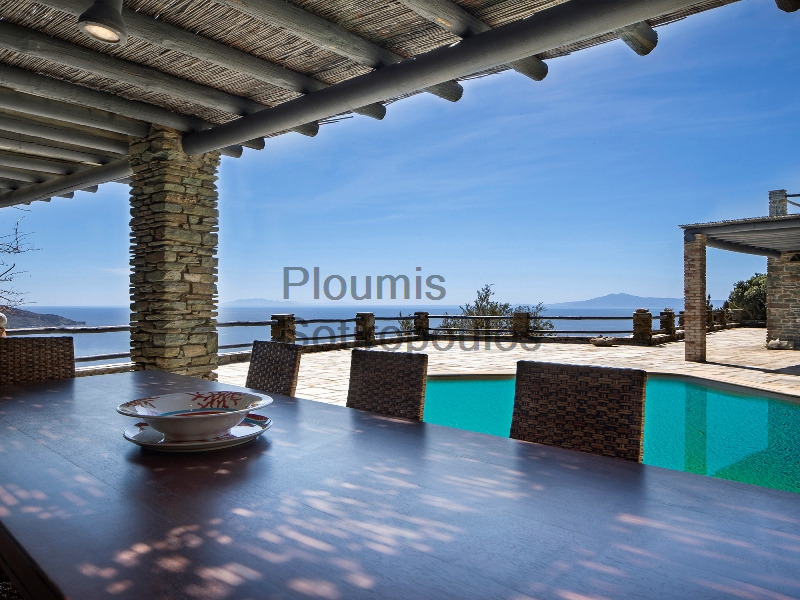 Large terraces with pergolas and shaded sitting and dining areas surround the swimming pool and are perfect areas to gather during the summer months. Other features include central heating, air-conditioning in all the rooms, a generator, and an automatic watering system for the garden. 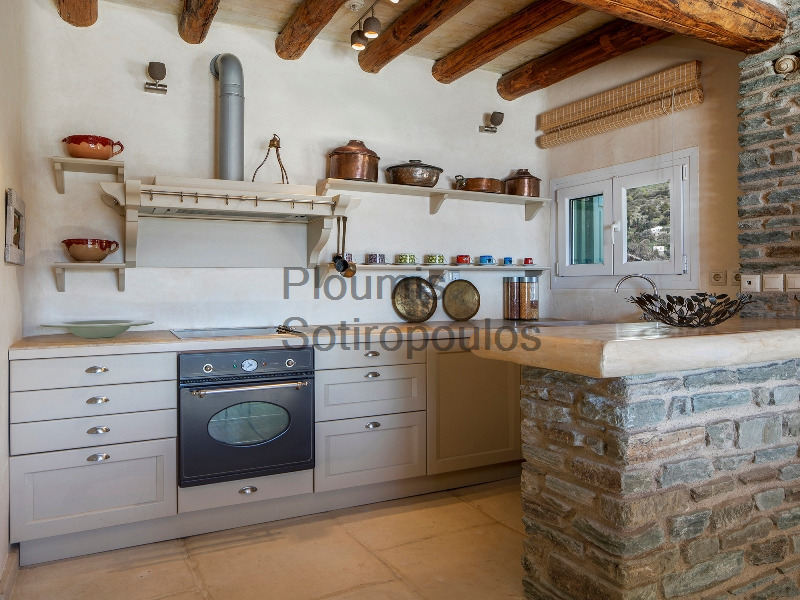 At a distance of only 12 kilometers from the port and 5 kilometers from the traditional village of Batsi, this splendid home combines life in nature with traditional architecture and the luxurious amenities needed for peaceful living in the countryside.